Oh, tapas. Sweet, sweet, tapas. 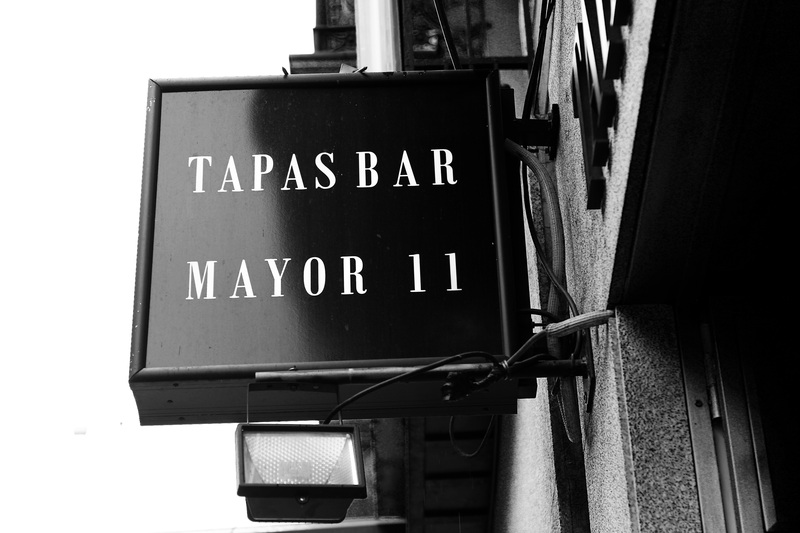 You’d be hard-pressed to walk down a street in Madrid and not find a tapas bar. Quite frankly, this is a great thing. Cheap, tasty, and abundant in variety, tapas are the true stars of Spanish cuisine (aside from paellas, of course). The small dishes can be used as a snack to accompany a drink, or ordered in bulk to make one hell of a meal. This style of cuisine also makes great for groups to eat together, sharing the various types of dishes, which often consist of meats, fish, vegetables, rice, fruit, potatoes, and anything else you can think of. Paellas take this one step further by practically serving all of these things on one dish! No tapas dinner is complete, however, without some sangria to wash it down. This entry was posted in Madrid, Spain and tagged europe, food, Madrid, spain, tapas, travel by Babak Haghighi. Bookmark the permalink. Cheers from a rumbling tummy in South Carolina. Have a glass of sangria for me!